These are free grid-based bootstrap templates that are great for project showcasing / portfolio. 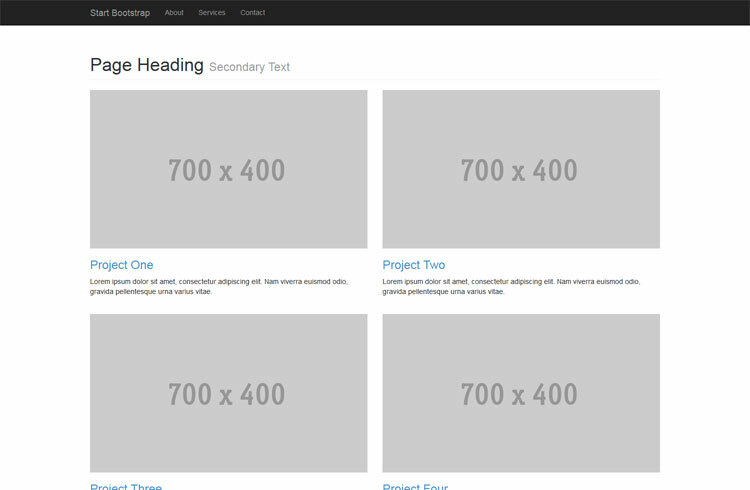 Startbootstrap.com offers these templates with different column settings for free download. Not much else to say really, enjoy! Please show your appreciation to the author of these templates by liking/sharing his page!